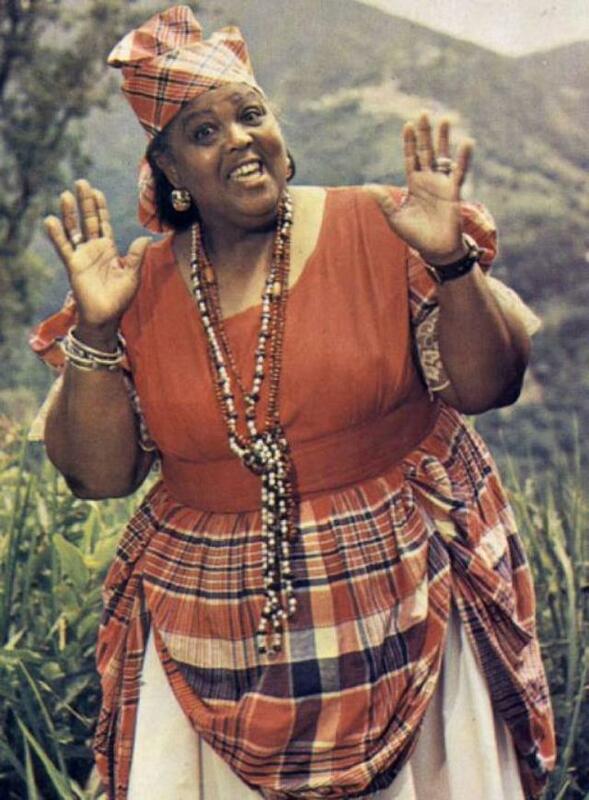 Miss Lou is the most Jamaican Jamaican in the history of Jamaica. Here's one of her poems 'No Lickle Twang' Me glad fi see yuh come back, bwoy, But lawd, yuh let me dung Me shame a yuh so till all a Me proudness drop a grung. Yuh mean yuh go dah Merica An spen six whole mont deh, An come back not a piece better Dan how yuh did go weh? Bwoy, yuh no shame? Is so yuh come? After yuh tan so lang! Not even lickle language, bwoy? Not even lickle twang? An yuh sister what work ongle One week wid Merican She talk so nice now dat we have De jooce fi understand? Bwoy, yuh couldn improve yuhself! An yuh get so much pay? Yuh spen six mont a foreign, an Come back ugly same way? Not even a drapes trousiz, or A pass de riddim coat? Bwoy, not even a gole teet or A gole chain roun yuh troat? Suppose me laas me pass go introjooce Yuh to a stranger As me lamented son what lately Come from Merica! Dem hooda laugh after me, bwoy! Me couldn tell dem so! Dem hooda seh me lie, yuh wasa Spen time back a Mocho! No back-answer me, bwoy - yuh talk Too bad! Shet up yuh mout!